Catastrophes do not affect all individuals equally. Rather than “leveling the playing field”, both natural and man-made disasters exacerbate existing patterns of social and economic inequality. When Hurricane Katrina tore through the Gulf of Mexico in the fall of 2005, it almost destroyed the city of New Orleans. Approximately 200,000 residents were trapped by the rising floodwaters, many of whom were poor, elderly, or who lacked the means to evacuate before the storm. 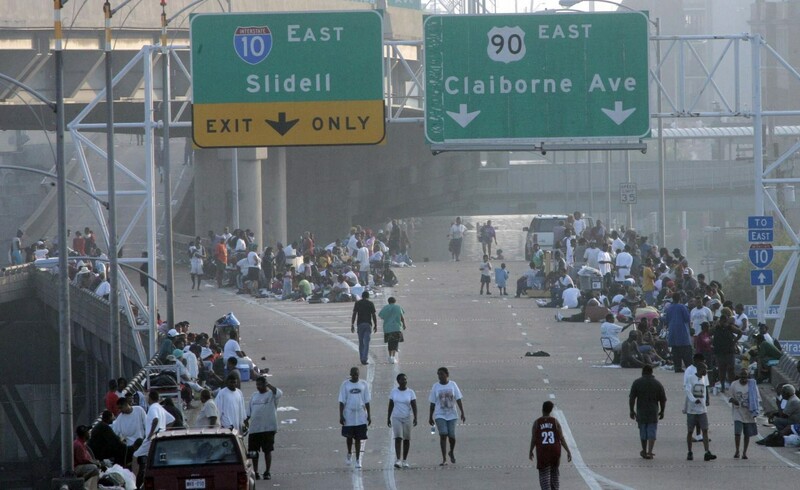 Hurricane Katrina has become a symbol of the devastating consequences of inequality. Even today, low-income communities continue to face disproportionate challenges in terms of risk, residents’ ability to evacuate, and the area’s ability to recover afterwards. Before, during and after a disaster, they are uniquely vulnerable. To prevent similar, devastating consequences when faced with future catastrophes, we must learn from the data. Low socioeconomic status (SES) significantly increases a community’s vulnerability to disaster, and to flooding in particular. Across the globe, the price of property is often lower in low-lying neighborhoods that flood regularly. Safer areas can command higher rents, pricing out low-income residents and concentrating them in flood-prone neighborhoods. Crucial flood-control infrastructure, such as storm drains, culverts and levees, are often poorly maintained or not present in lower SES areas. In addition, each successive flood tends to result in a greater concentration of poverty. Residents who are financially better off often choose to relocate, while those who cannot afford to move remain behind to await the next deluge. Socioeconomic status also affects a community’s preparedness. Individuals who work long hours may be unable to attend community preparedness meetings, and may have less access to warnings and evacuation instructions. This combination of concentrated poverty and insufficient preparation can have deadly consequences. Mobility, the ability to travel easily from one place to another, plays a crucial role in an evacuation when a storm is imminent. Vehicle access, health, and economic circumstances all contribute to residents’ ability to leave an area. Those with lower incomes are often the least mobile, and may be unable to comply with evacuation orders even if they wish to do so. In an evacuation, public transportation networks are often overwhelmed and shut down well in advance of a storm, forcing most residents to flee by car. However, because low-income families are significantly less likely to own a vehicle, this escape route is not an option for them. Additionally, low SES is highly correlated with both age and disability status. Individuals requiring accommodations such as a wheelchair-accessible van may be unable to secure transportation in an emergency. 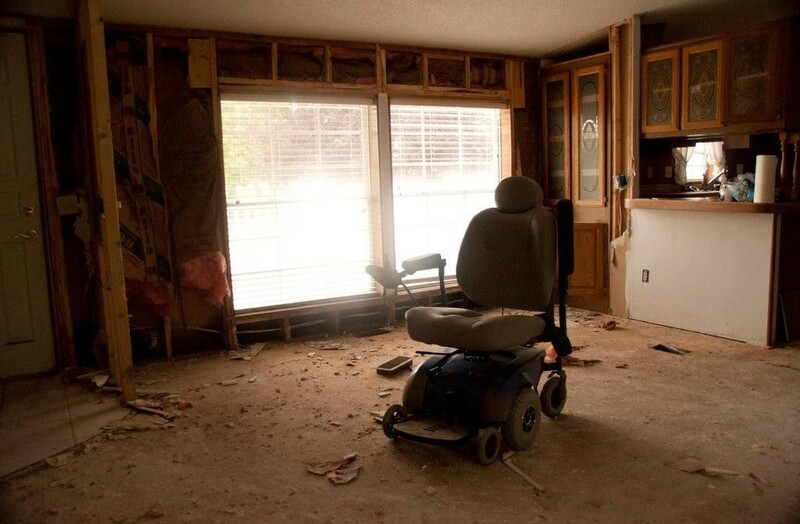 The elderly are uniquely vulnerable, for they are most likely to be in poor physical health and to be unable to drive. Indeed, a staggering 49% of Hurricane Katrina’s victims were over the age of 75, despite comprising only 6% of the local population. Many families simply cannot afford to shoulder the cost of food, lodging and transportation needed to evacuate, particularly in combination with lost wages. In the aftermath of Hurricane Katrina, researchers surveyed hundreds of New Orleans residents who had not evacuated and who were subsequently trapped by the flood. Just 31% had a bank account, and only 28% possessed usable credit cards. Many cited both finances and lack of transportation as major factors in their decision not to leave. Had assistance been available, perhaps more residents would have fled before Katrina struck. Low SES communities face obstacles to recovery after a disaster, in addition to being at greater flood risk and facing more challenges to evacuate. Safe housing and a comprehensive insurance policy are often unaffordable for struggling people. Around the world, people living in poverty tend to occupy more fragile housing units, which are far more susceptible to structural damage. When researchers surveyed New Orleans residents who had not evacuated, most reported that their homes had been destroyed. However, only 10% stated that they held insurance policies that would cover a significant portion of their losses. To reduce future loss of life, we must acknowledge the unique needs of low income and low mobility regions. Using data to proactively identify high-risk areas, engaging with local community leaders, and arranging additional transportation in the event of an emergency are essential steps. Given the accelerating pace of climate change, it is inevitable that a powerful storm will again threaten a vulnerable community. It is up to us to be prepared. Libby is an experienced educator with over 10 years of experience in teaching middle and high school science. Currently, she is developing Urban Mobility curriculum for the Exploring Urban Mobility: Using Data to Solve Problems of the Future project. Her work prompts students to develop data literacy skills by examining and analyzing emergency evacuation data from Hurricane Katrina. Libby holds an ScB in Human Biology from Brown University and an EdM from the Harvard Graduate School of Education.